KBS Klean is a concentrated, water-based, biodegradable formula that is an excellent alternative to flammable solvents & hazardous chemicals for preparing your paint job with a clean surface. 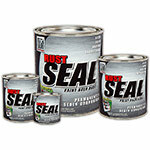 KBS Klean is Step #1 in the KBS 3-Step Rust Prevention System and the KBS 3-Step Tank Sealing System. KBS Klean is a powerful cleaner that deeply penetrates and removes stubborn soil from most surfaces without leaving harmful residues or emitting noxious fumes. 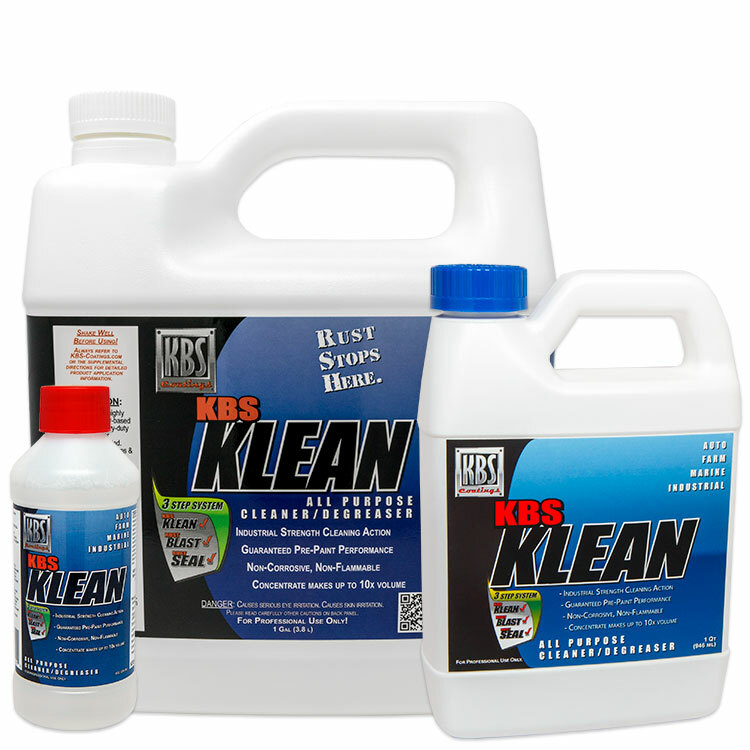 KBS Klean is perfect for the home, garage, or plant to effectively remove dirt, grime, oils, lubricants, grease, waxes, scum, algae, road film, and other contaminants. KBS Klean may be used in pressure washing equipment to produce the rapid penetration of many layers of accumulated build up. Cleaning projects have never been easier! Satisfaction guaranteed! I bought this for prepping galvanized steel, but now I keep some 1/5 mixed cleaner around for much more. My home renovation calls for spray paint a lot, this does a lot better or more that TSP or soap. Glad I have plenty for miscellaneous, plus future big metal prep jobs. Excellent degreaser and cleaner! Great for prepping blasted parts for paint. I have used this product, many times now with the same out come. 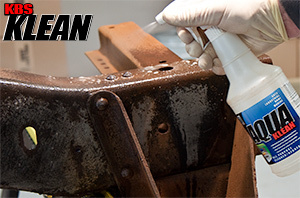 Klean, can't say enough about it. 5 STARS. Needed extra cleaner for a project we were doing, maybe used to much to begin with but better clean than sorry. 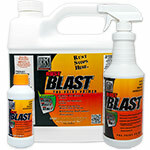 KBS Klean is the perfect prep cleaner before painting, leaves a clean residue free surface. Awsome products. Use it dailey. Strips just about anything. Q: Can I use KBS Klean full strength or is KBS Klean always suppose to be diluted? A: KBS Klean is designed to be diluted. A full strength dilution would be 1 part water with 1 part KBS Klean. But you can go up to 10 parts water and 1 part KBS Klean depending on your job. Was this answer helpful? 61 of 67 Customer(s) found this Answer helpful.